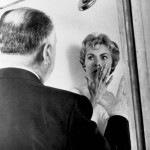 Of Alfred Hitchcock’s long and varied career, perhaps no single sequence is better known than the Psycho shower scene from his 1960 thriller, Psycho. 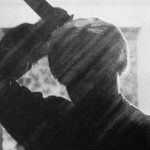 Psycho is an unusual “phobia film,” as it does not directly portray a phobia. Instead, the film generated or exacerbated a specific phobia, the fear of showering, Ablutophobia, in legions of movie fans. Did you know that shower scene took a week to film? 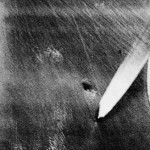 Despite the fact that the whole film in black and white, some viewers claimed that in the scene in the shower blood was red. The film is an adaptation of the novel by Robert Bloch, based on real facts about Ede Heine (Ed Gein), serial killer. Promotional material for the film included a trailer, in which Alfred Hitchcock as a tour guide led a tour for visitors of a motel and home. 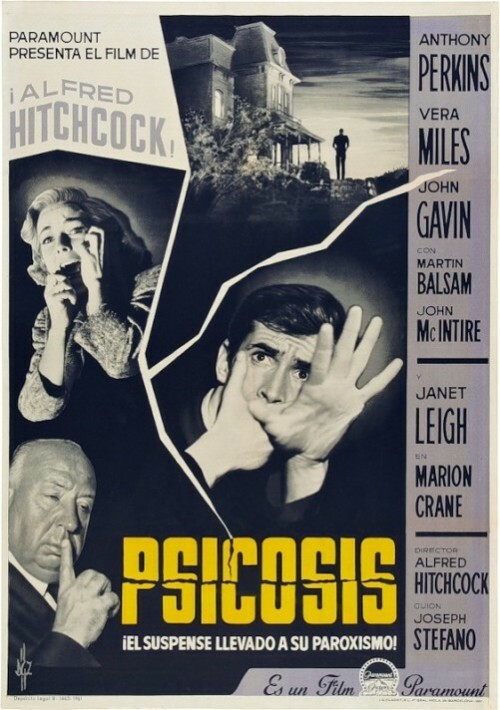 At the end of the movie, Hitchcock walks into the bathroom, pulls back the shower curtain, and we see a close-up of a screaming woman. However, actress in bathroom is not Janet Leigh, and Vera Miles. In the collector’s Edition of film, released on DVD Janet Leigh confirms that in the scene in the shower at some moments a special doll was used. Filming of scenes involving Janet Leigh took three weeks, one of them went to the shooting scene in the shower. After the death of Marion in the film her open eyes have narrowed pupils. Ophthalmologists explained to Hitchcock that pupils dilate after human death, they pointed out this bug. Doctors strongly advised to drop belladonna into the eyes of the “dead actress” to simulate the effect of dead eyes. 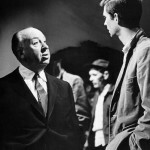 In the following films Hitchcock had always followed that advice. In order to capture the straight-on shot of the shower head, the camera had to be equipped with a long lens. The inner holes on the spout were blocked and the camera placed farther back, so that the water appears to be hitting the lens but actually went around and past it. The soundtrack of screeching violins, violas, and cellos was an original all-strings piece by composer Bernard Hermann entitled “The Murder.” Interesting fact that Hitchcock was originally opposed to having music in this scene. Ablutophobia, or fear of bathing, is a relative uncommon but serious phobia. It appears to be more prevalent in women and children. 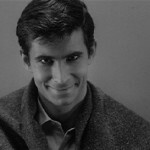 Besides, the phobia can manifest in many ways, from a fear of showering to a complete phobia of all washing. Like all phobias, ablutophobia is often linked to a traumatic past event. The event may have happened to you, a relative or even someone in a movie or television show. For example, numerous horror film fans claim to have developed a fear of showering after seeing Alfred Hitchcock’s Psycho. You may or may not consciously remember the triggering event. Meanwhile, Ablutophobia can also develop from other people’s fears. For instance, if a parent or close relative had the same fear, you might have internalized that person’s reactions in childhood. “they like to put their toe in the cold water of fear”. “Always make the audience suffer as much as possible”. “The length of a film should be directly related to the endurance of the human bladder”. 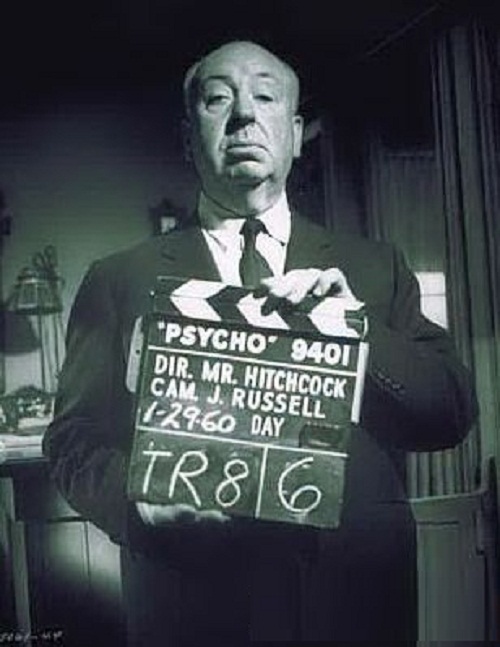 Hitchcock to a woman who complained that the shower scene so frightened her daughter that the girl would no longer shower: Then Madam, I suggest you have her dry cleaned”.